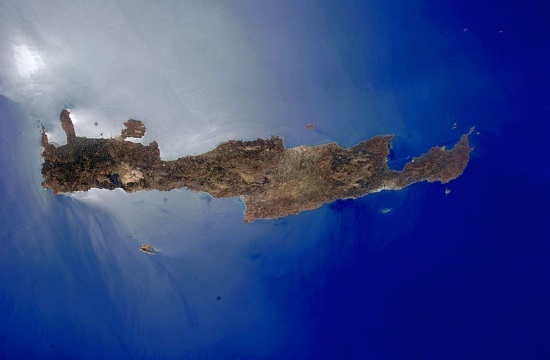 Even though Crete is a large island – 260 by 60 km – it’s very easy to get around, especially during the summer months. No matter how you decide to travel, you’ll never feel bored thanks to the island’s stunningly beautiful nature and breath-taking scenery. Having a car in Crete is definitely worth the money. Many places around the island can’t be reached by public transport, and a car also gives you a lot of freedom. The highways in Crete are rather well maintained, but smaller village roads are narrow and without much lighting at night. Crete is full of mountains, so the roads have many ups, downs and sharp curves, and even local animals – so look out for goats that might get in your way! The Cretan traffic culture can seem very chaotic to many visitors since regulations are followed loosely. It’s advisable to stay on the right side of the road so people can pass, and to be alert at all times. Most car rental companies require the driver to be 21 years of age with a valid driver’s license. There are plenty of local and international companies offering these types of services both in the cities and at the airports. When hiring a vehicle, make sure the contract includes adequate liability insurance. Prices vary between companies, but it’s definitely the most expensive option to get around the island. Most of the taxi drivers around the island are reliable, but it’s always a good idea to ask for an estimated price before hopping in. For longer trips, you can usually reach an agreement on the price with the driver, but most taxis have a meter as well. The fares are quite reasonable, and trips within the city cost only around 2-6 euros. Taxis from Heraklion airport to the city center costs around 16 euros, and one from Chania airport to the center is 30 euros. Be ready to pay a little extra if you have a lot of luggage. The regional and local bus traffic is run by KTEL. They have routes to most of the cities and villages around the island, and their service is reliable and affordable. Most of the bus stations are located close to the center in each city, except for Heraklion, which has two KTEL bus stations. Bus station A is down by the port. This is the station that has buses departing for destinations such as Rethymnon and Chania in the western part of the island, as well as places like Agios Nikolaos in the eastern part. Bus station B is located bit further from the center in Chanioporta, close to the historical walls that used to protect the city. From this station, you can travel to destinations in the south, like Mires or Matala. Local buses in Heraklion and Chania don’t, in reality, follow any regular time schedule, so they arrive randomly. In Heraklion, an orange ticket for region A costs 1,20 euros, and a blue ticket for region B costs 1,70 euros. The blue ticket is required to visit places a bit further from the center, like the palace of Knossos or Amnissos beach. A day ticket costs 5 euros, and all tickets can be purchased from kiosks around the city. In Chania, tickets are from 1,10 euros up to 2 euros. Minoan Lines, Anek Lines, Lane Lines, and other ferry companies offer many different routes to and from Crete. In addition to regular routes to Athens, during the summer season it’s also possible to travel to other islands such as Santorini or Karpathos. Smaller services offer trips within the island, especially in the southern part. There are many smaller islands around Crete that can be reached by ferry for a day trip, for example the islands Spinalonga or Dia. The timetables depend heavily on the day’s weather conditions, so cancellations and delays are possible. It’s good to book your tickets in advance, especially during the summer season, because most ferry trips tend to fill up quickly.